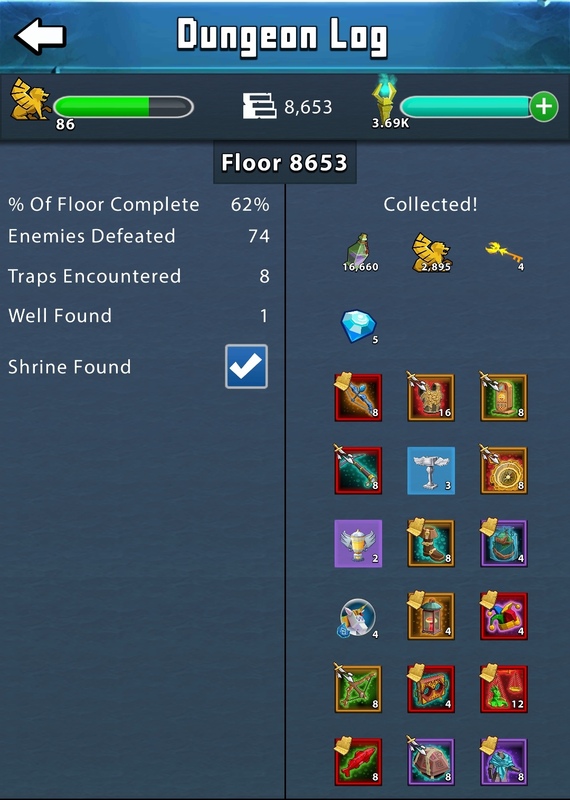 Can you get jackpot chests (critical success) from dungeon raiding? Is there a max raid button for those folks with several thousand torches? what date is update 3.4? P.S - Fungeon raids is cool. I’d dungeon for hours if I had the time. Bahahaha! Maybe a stretch of the truth. But I would do more if I could. 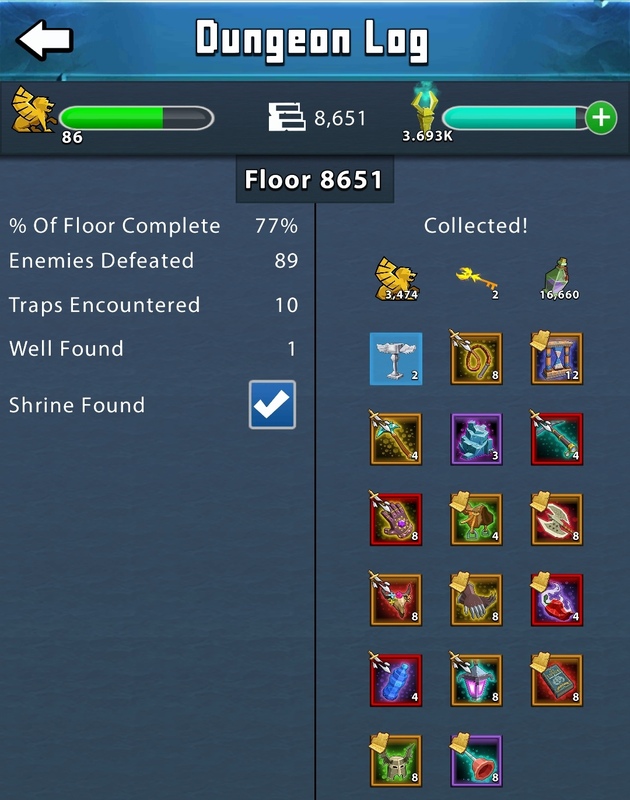 Raiding is ok by me and by the looks of it, it’s only to floor 70. 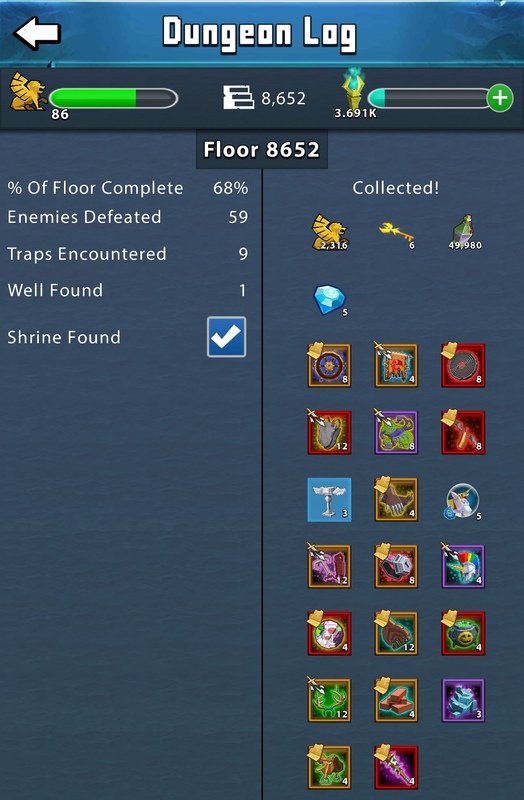 I wish I could raid as many floors as I wanted though. So I could just raid like 10 floors at a time or something. Also… Yes… I agree cosmetics should have stayed just that. Cosmetic. They are essentially gear pieces now, and I will have to use the skin/etc that gives the best stats… Not the one that I want for its looks. So I think it’s a bad move personally. But you clear the floor?? It doesn’t move you up a floor ! Fixed an exploit in Fortress that allows players to reuse heroes. No cheating! Rework the vials given to be over 10,000 per vial per completion. Raid will only benefit those who haven’t done dungeon and have surplus torches. Would you be willing to Raid for this prize haul each day? And to prove my point on torch burn. It’s the age old question. Are you going to spend time? Orrrrrrrrr are you going to spend money? Gosh, at these rates I already told @OhRlyeh that I would never raid, and that in the once in a blue moon that I endless, then I’ll walk it myself. Aaaannnndddd that’s me with my thousands of torches. But then I’m a low spender. If they didn’t raid here, they’d just buy pony deals and chests in the daily offers and get the stuffs that way. "What is the worst thing that could be added to PQ?" My response: "Skins that give stat bonuses"
When DS announced it was closing down I tried a few games and one of them was great until I found out that they attached stats to skins so I deleted it immediately. We’re pretty committed to PQ at this point but this cosmetics change doesn’t sit well by any stretch. It’s been said above but bears repeating. Attaching stats to cosmetics just drives folks to use cosmetics that they don’t even like because it has stats they want/need. Cosmetics should be Cosmetic. Period. They’re also extremely unfriendly to the bulk of players from what I’ve seen so far unless you make them far more available (and purchase doesn’t count as available) then these exciting new features are only accessible to a very small percentage of players. But I can see your problem with it giving that some borders look really bad etc. I’m frustrated because cosmetics hold zero appeal to me. I’ve successfully ignored them up until now, but now I’m going to be forced to pay attention to a game aspect that doesn’t interest me. And that I’ll likely have to spend on. We’ve expressed multiple times how most of us care little for skins. Even joked about it. Why are we making them a potentially integral part of the game? Fights will still end in hero lineup and heroes ranks, equipment, level etc.